ACTOR LIZAA MALIK'S DEBUT WITH SANJAY DUTT IN TORBAAZ! 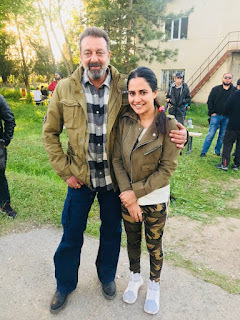 Lizaa Malik debuts in Bollywood along side Sanjay Dutt in Torbaaz. The actress plays a key character in the film "Since it was Sanju's sir film and I am a big fan of him.. I didn't mind playing the character role in that other than playing the lead but I would look forward to do more films with him...he is a wonderful person to work with maybe one of the most humble person I have ever come across"
For her debut film, Lizaa had to face a lot of challenges. The actress essays the role of a Afghani girl which is why Lizaa had to work very hard on her Afghani dialect "It is very different. Their language & the way they talk is very different. I was put on to a tutor to learn the basics of the language"
Lizaa may indeed be stylish on & off camera but the actress has no qualms about going completely de-glam for her role in the film "Audiences has always watched me in glamorous roles. 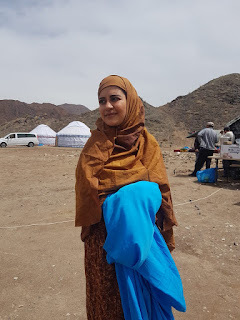 However, for my role in Torbaaz, I did not want to use any make up at all, because I felt it would not suit my character and I wanted to be as real as possible"
Torbaaz is based in Afghanistan and is a story about child suicide bombers of Afghanistan, who have been trained to believe that killing is a virtue and glory is in afterlife.